Our products are known for their durability and quality hence the wide range of Pilot Gas Burners exhibit the same. These products are thoroughly tested for quality as per the international standards before they are finally delivered to the clients. Manufactured from premium quality raw materials, these products are fitted with a combustion head that facilitates efficient functioning. 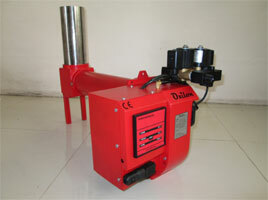 Customised as per the needs of the clients, these products are best suited for natural gas and LPG.